These new Weblets are all included in the generated sampler pages when selecting the LANSA Mobile Application from the Tools Wizard in the IDE. New charts using Google’s visualization API. They create more interactive and modern looking charts than the image charts they replace. New chart type. Allows you to show data on a map (worldwide, regional or country level). 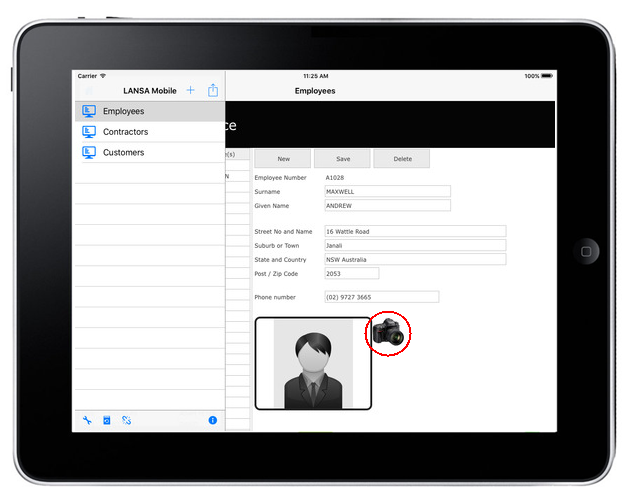 New weblets to provide you access to the Camera, Microphone (Audio) and barcode scanners when you are running inside the LANSA Mobile app. This is available for jQuery Mobile Technology Service. JSON capabilities outside WAMs or LANSA: You can request data from LANSA WAMs from your web pages, even if they are not WAMs.